Want more sales? Of course you do. Every company in the world has people working on ways to find more leads and close more deals. But some companies are turning to a new approach: Using Artificial Intelligence (AI) in sales. Identify behaviors that closes deals. Software can tell you which of your team members are closing the most deals, of course. Maybe you then study what that person is doing so other team members can follow suit. But AI can take this action to a new level, recording calls and gathering emails to identify exactly what language or action is closing deals — not just for one customer, but for different types of customers. AI can also identify weaknesses in the approach of team members. This isn’t just about helping them close deals, as we’ve just mentioned, but about figuring out each person’s challenges. For example, maybe Joe struggles with Product X — but only during a specific segment of the sales cycle or when the lead is considering the company down the street. AI can report this information so Joe can get training specific to his challenges. Identify behaviors that indicate a customer is a warmer lead. What if your sales team started with leads that are already good prospects? AI can report whether someone is actively searching for the tool or solution you offer. Based on buying signals, sales reps can prioritize leads and focus efforts on the most likely. Offer customer insights. AI programs can tell you that a customer is a good lead, but also why he or she fits that category, giving your team members insight about that person, which leads to a stronger connection and better customer service. Decode why a deal isn’t working. Your CRM might alert you that an opportunity is growing cold. But what turned that potential customer away? AI can produce those answers to help your team prevent slowdown or cooldown. Scrape the data to find and serve leads. More than 40 percent of salespeople say prospecting is the most challenging part of their job. Buying lists isn’t a good return on investment. Even if 50 percent of the contact information on those lists is valid (which it probably isn’t), more than half of those people don’t want to hear from you anyway. AI can learn the behaviors of people who buy your service or product and find them for you. Data entry. Typing up information into a CRM is tedious and time-consuming. AI can manage this menial task, freeing up sales team members for other work. Customer service staff and sales team members often answer the same repeated questions. Chatbots can handle the initial calls, outreach, answers, and more, handing off more critical work to human team members. One of AI’s primary uses is to analyze mounds of data. AI programs can help your managers predict conditions, giving them the power to meet targets and allocate budgets. Sales reps only spend one-third (or less, according to some) of their time selling. Consider how much time sales reps spend just gathering data, entering it in, leaving a voicemail or sending an email. It takes eight cold calls to reach a prospect. Relying on AI means offloading some of the grunt work. The sales part comes during actual, live human conversation. And companies are taking note. 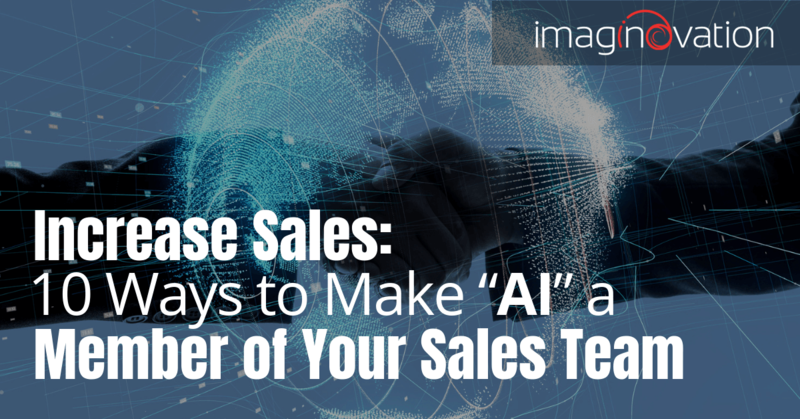 A 2016 Gartner study showed that by 2020, at least 30 percent of companies globally will use AI in at least one fragment of their sales processes. 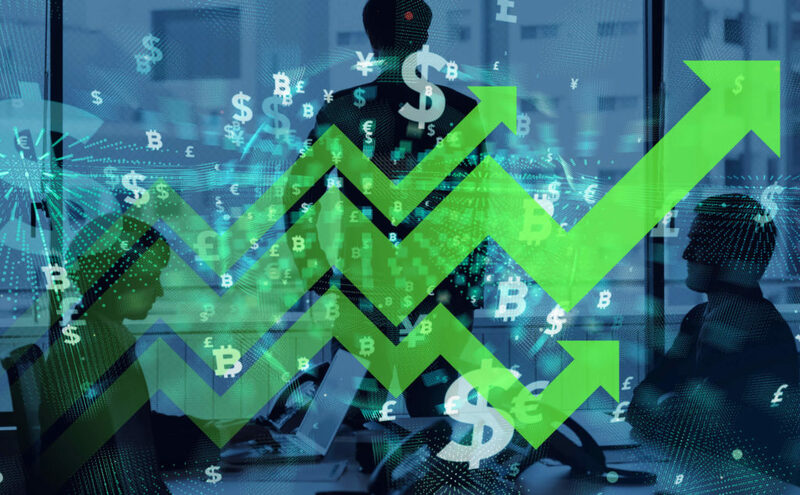 Meanwhile, 87 percent of current AI adopters said they are using or will use AI for sales forecasting and email marketing. All the talk about AI often has people wondering where humans fit in. While some of us would rather talk to a robot most of the time anyway, humans still have a vital role to play, connecting brands and companies with customers. The best sales reps can explain the value of something to a variety of audiences. While AI programs can help those sales team members, it still struggles with context in language and behavior. An AI program won’t be able to draw on an anecdote from one of your other customers and share that with Sue, who’s thinking about buying. In short, humans are more relatable, and won’t be going away anytime soon. If it’s time to add AI to your sales team, talk to us for custom enterprise solutions.